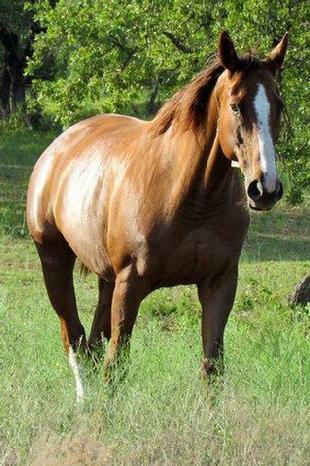 Karista's Punch was one of the 9 mares bought from the Round Mountain Horse sale. She was one of the 2 that a kill buyer actually bought and was purchased back from them for a $100 profit. Sadly, Karista had a severe bout of colic and was humanly euthanized at 7:30 pm Monday July 30th. We were unable to transport Karista for the surgery she needed for a lack of emergency funds. I am so upset by this that I am starting this fund in her honor so we never have to make a decision based on finances again. I would like to open a special account just for emergency veterinary care. I am hoping the KARISTA'S PUNCH FUND will allow us to make the sometimes hard to make decisions easier by knowing the funds are there if needed.